American Red Cross WIC Gets Fit! 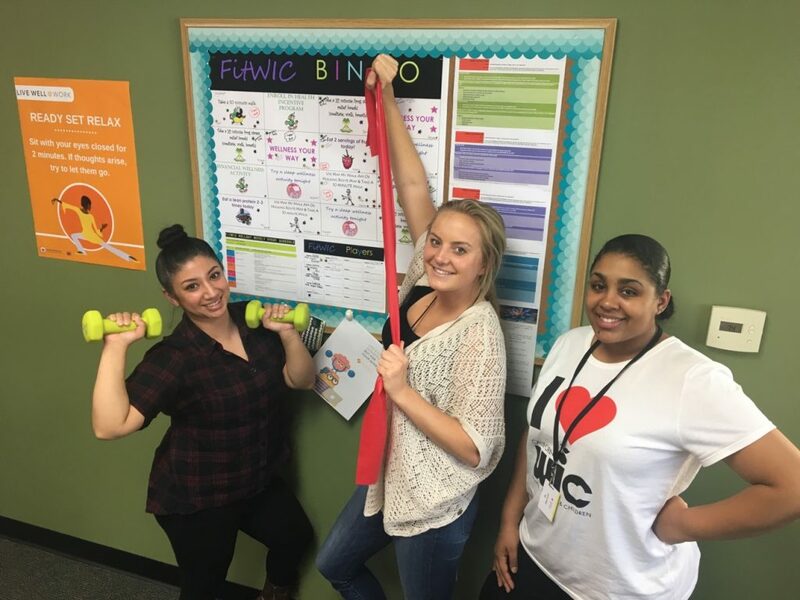 With the support of Live Well @ Work, American Red Cross WIC locations throughout San Diego County recently launched their new worksite wellness program, FitWIC. 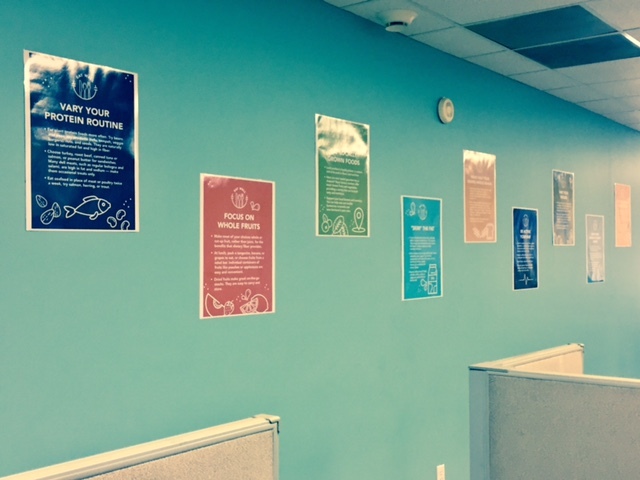 Each office celebrated the launch with a week-long roll out event, complete with wellness workshops, healthy recipe tastings, and a BINGO activity challenge. 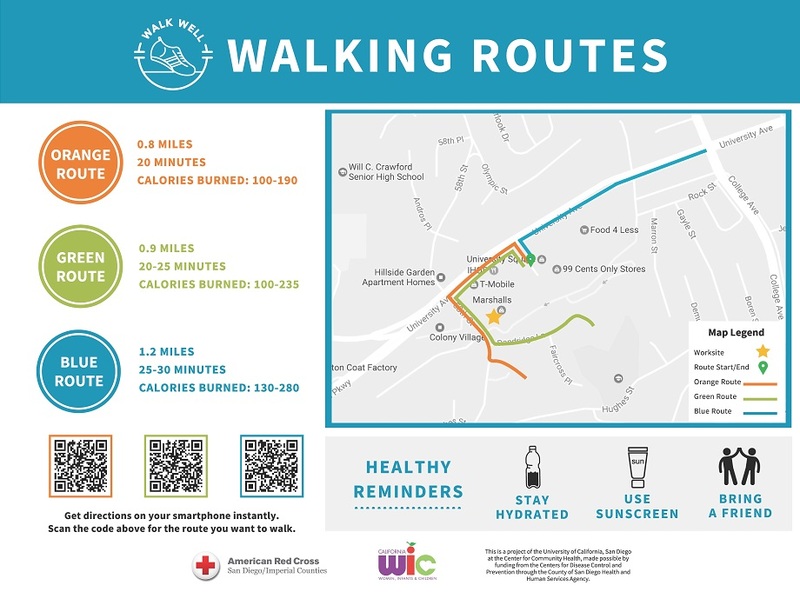 The week culminated with the unveiling of WIC’s new Worksite Walking Routes. 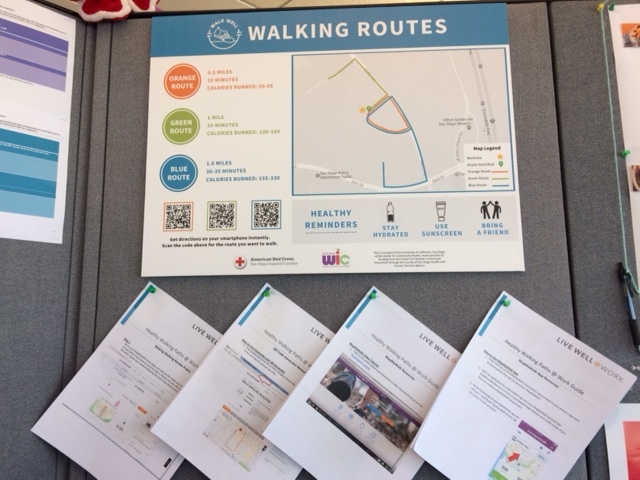 At each WIC location, a large map on the wall displays three walking routes staff and visitors can take to explore the local neighborhood and sneak in some additional exercise! The routes vary in length, from just a quarter mile to over 2 miles, and handheld route cards are available for easy way-finding. Walking doesn’t have to break a sweat and requires just a comfortable pair of shoes, making it the perfect workplace exercise. Next Article: Food Sampling at Louie’s Market Place!